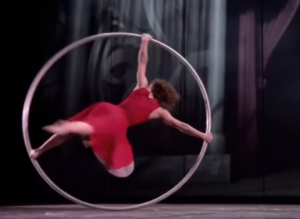 Acrobat Performs Breathtaking Dance On Cyr Wheel. If you’ve ever been lucky enough to attend a Cirque du Soleil performance, there’s a pretty good chance your jaw dropped at some point during the show. There’s just something about acrobats that always leaves us amazed. 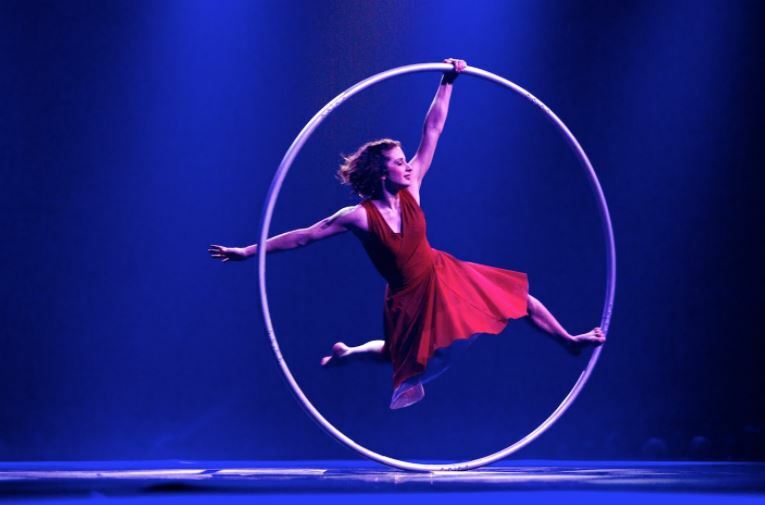 There’s a relatively new device many acrobats are now using called the Cyr (pronounced “seer”) wheel, which was first introduced at a Parisian festival in 2003. It looks like a hula hoop, except instead of plastic, the ring is made of aluminum or steel; moving it with their bodies, the acrobats perform a stunning series of spins, somersaults, and pirouettes, looking like Da Vinci’s “Vitruvian Man” come to life. 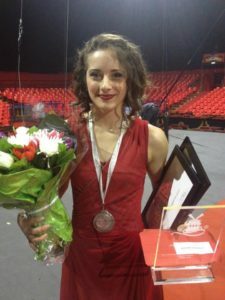 To see what it looks like, check out the clip below, starring the award-winning French-Canadian acrobat Angelica Bongiovonni. 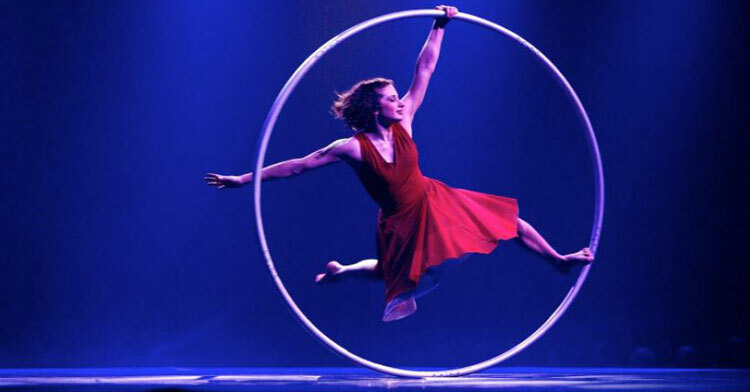 She started out as a trapeze artist when she was just 7 years old, but a back injury led her to abandon the trapeze in favor of the Cyr wheel, which is better for her back and helps strengthen her core. “There are a lot of people who start it and realize that it takes a long time to get the spinning down,” she said in a 2013 interview. There’s a point where you start to understand the motion of the wheel, and from that point on, everything goes super fast. 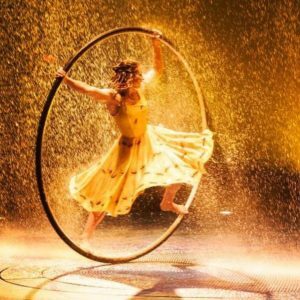 Watch her stunning performance during “Cirque Eloize: Cirkopolis” at New York’s Skirball Center for the Performing Arts, and share if she’s just convinced you this is something you need to learn!